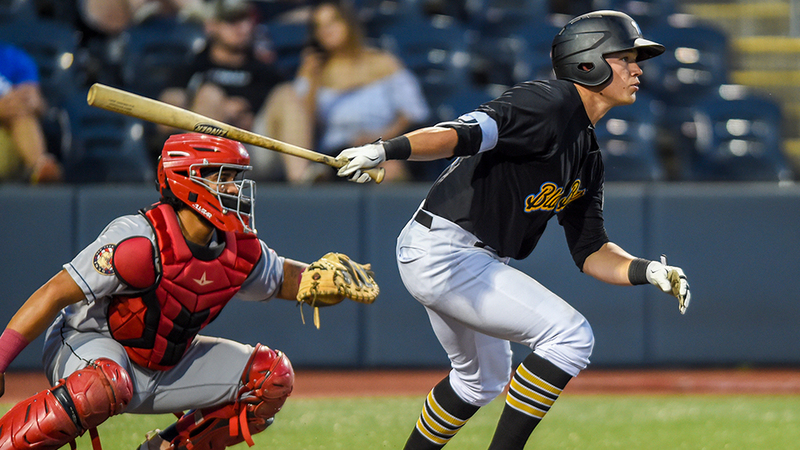 Granville, W. Va. - Continuing a late-season hot streak, the West Virginia Black Bears defeated the Mahoning Valley Scrappers 5-2 at Monongalia County Ballpark. The Black Bears have now won four straight games at the close of the 2018 schedule, including four straight victories over teams contending for New York-Penn League playoff spots. RF Brett Kinneman opened things up in the bottom of the first inning with an RBI double to put West Virginia on the board. After a balk brought another run around to score, 3B Mike Gretler cracked a single to center field to give his team a 3-0 lead. The Scrappers got one back in the top of second inning via an RBI groundout, cutting the lead to two runs with seven innings left to play. After a lull in scoring, Mahoning Valley made it a one-run ballgame in the sixth inning thanks to another fielder's choice to put the score at 3-2. Those two runs were all that Black Bears starter Osvaldo Bido allowed in the game. The righty pitched six innings of three-hit baseball, allowing just two runs to go with four strikeouts and two walks. Then in the bottom of the sixth, West Virginia found an insurance run. SS Zack Kone's groundout brought a runner around from third base to give his team a two-run advantage. DH Edison Lantigua also chipped in with an RBI single in the seventh inning to continue his impressive end to the regular season, building the lead to 5-2. After relief pitchers Will Gardner and Shea Murray threw shutout frames in the seventh and eighth innings, the Black Bears turned to Conner Loeprich to pick up his seventh save of the season. Mahoning Valley loaded the bases in the top of the ninth, but Loeprich worked out of the jam to seal the victory at home. West Virginia returns to Monongalia County Ballpark tomorrow afternoon for another matchup with the Mahoning Valley Scrappers. First pitch is scheduled for 4:05 p.m.